Repair Issues: What Will Sellers Typically Address? Now that many of our clients are participating in the Spring housing market , repair issues have developed in several transactions handled by our attorneys . This post will address the manner in which such issues should be addressed in a contract. Most buyers will have a professional engineer inspect the premises prior to signing a contract. Inspections serve several purposes. They may illuminate a condition so severe that the buyer decides not to proceed. An example may be a cracked foundation requiring costly repairs. Inspections also show conditions that a seller may be willing to address, given the circumstances of the transaction, such as electrical repairs needed for immediate safety concerns. Also, inspections show conditions that are for the buyer’s information as a potential homeowner, including ongoing maintenance issues such as clearing the gutters on a seasonal basis. Conditions in this category should not be raised with the seller. In any event, rest assured that the inspector will find conditions requiring repairs because most homes that are inspected are not newly built and not in perfect condition. Let’s consider those conditions that should be addressed. Buyers need to be aware that our current local real estate market is afflicted with low inventory. This means that many sellers are weighing multiple offers that vary as to terms such as price and whether the buyer needs to obtain a mortgage. Offers also vary as to whether a particular buyer appears to be pleasant and will easily close the transaction. With this in mind, a buyer may lose the deal if she asks the seller to repair a large number of items, many of which are relatively simple such as unclogging the hall tub drain. Unfortunately many first time purchasers are anxious, desire a house with no issues, and are unfamiliar with the area, so they may not know who to call to repair the tub. These people are better served by hiring their own plumber after the closing for a few hundred dollars, rather than making it an issue with the seller who may have other options. Should a repair be appropriate to address, this author recommends the following. During contract negotiations, your attorney should ask the seller’s attorney to require the seller to repair certain items before closing. We would suggest that no more than five items be requested and that they be in the nature of dangerous issues or those that may require the completion of a permit process. For example, if the inspector discovers that an underground oil tank has been replaced with an above ground tank, it would be proper for the buyer to request that the seller complete the project legally with proper permits, if such a project has not been completed already. 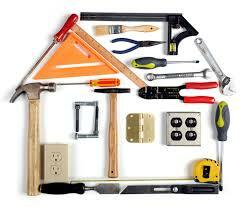 Also, some repairs do not need to be requested, since the concern may already be covered in the standard contract. For instance, our typical form contract provides that all appliances are to be in working order at closing. Therefore, if a stove burner does not work, the seller still needs to repair it without a specific request. Some sellers would prefer to complete the repairs requested before closing because they know the tradesmen that would be used and can obtain a fair price. The parties will need to agree as to whether a licensed contractor should be required to make such repairs or if the homeowner can complete the work himself. Other sellers may wish to apply a monetary credit against the purchase price so that he does not have additional responsibility for the quality of the work. This is the most favorable resolution for an elderly homeowner or a seller who no longer lives in the house and does not wish to manage repairs. In any event, sellers should not take on the responsibility for repairing items beyond those agreed to or before a contract is signed and the downpayment has been deposited. If a particular buyer never signs a contract, another buyer may come up with different repair issues and request that the seller do even more work. In addition, another buyer may intend on performing major renovations and demolishing the entire kitchen, so that he is not concerned if the dishwasher does not work and would not even ask for particular repairs. Our firm is prepared to advise its clients concerning repair issues and looks forward to your inquiries.